Mrs. Nazha Osseiran is a fashion & design brand development specialist with over 20 years of corporate and entrepreneurial experience in Europe and the Middle East. Her core expertise is in the management of established and nascent luxury fashion and design brands from inception to commercial distribution and retail operations. 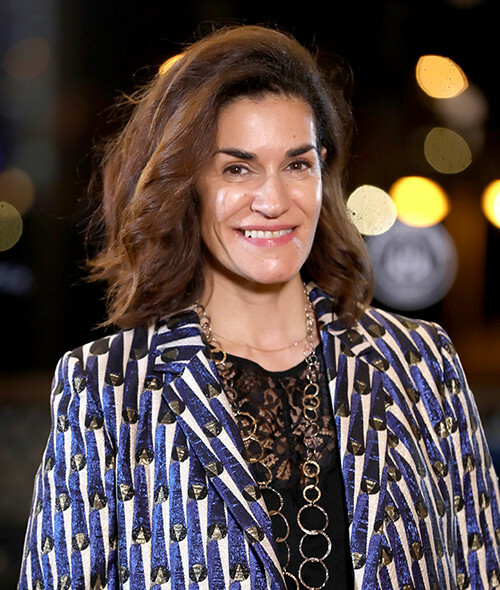 She also started and managed her own retail and distribution business for a decade, anchored by the designer children’s brand Théophile & Patachou. She is a member of the Dubai Business Women Council Mentorship Steering Committee and is an active supp.orter of many charities related to autism and cancer in children. Nazha holds a Bachelor’s Degree in Fashion Design and Pattern Drafting from ESMOD in Paris, where she also completed the Advanced Program in Fashion Management and Marketing.